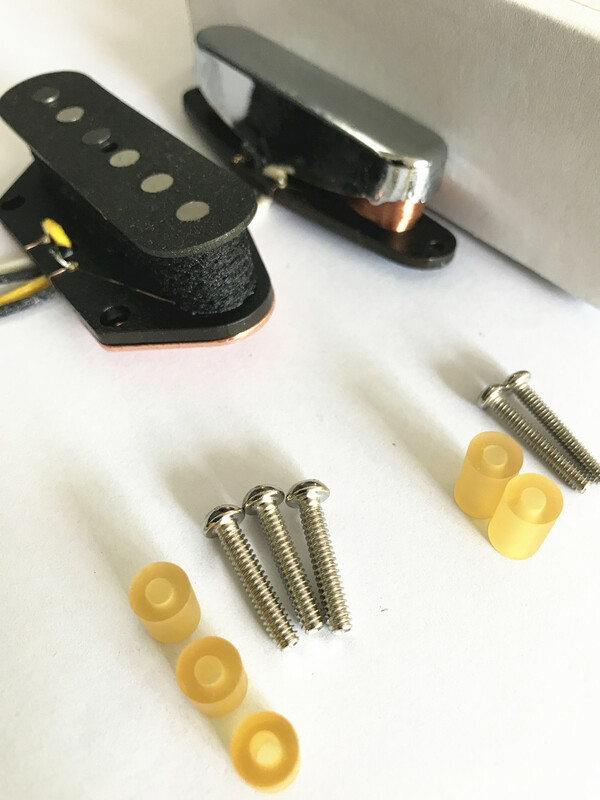 This model is designed as per the Original Tele 52 pickup and use the Alnico flat Alnico 3 magnet rod for the neck and bridge,We did not use the plain enamel dark brown wire,instead of it,we used the famous brand Elektrisola magnet wire.The same 1.5mm thickness steel plate with the original Fender Tele 52 bridge.The neck is the chrome finish cover in the half open on the left and right side. It will do give you the vintage 52 Tele Twang and Snap sound.This is hand wound,so the tone will been really clear and balance is very steady and deep. 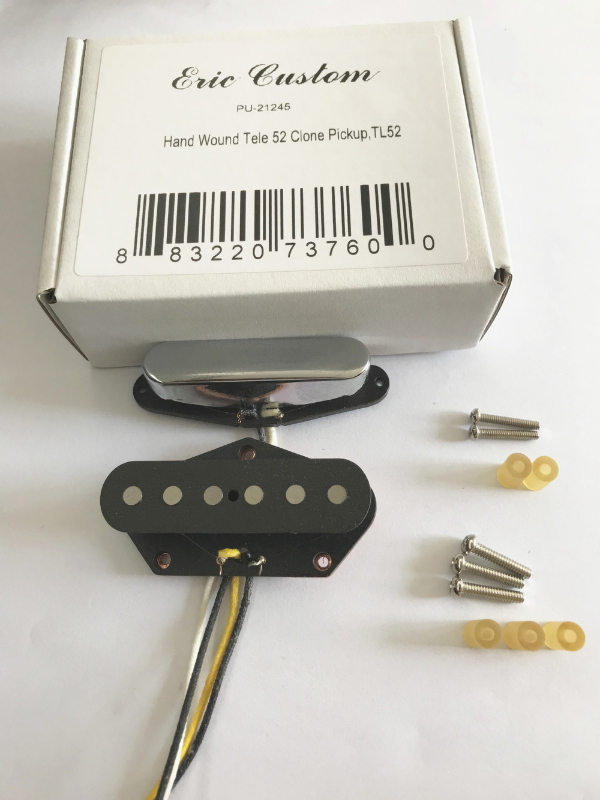 The bridge is RWRP for hum cancelling when the neck and bridge pickup work together. Vintage Cloth leading wire and Wax potted. Great price for a custom handwound Tele '52 set. Can't wait to put into my Pine Beetle Kill tele body and power it up! Great service. Will continue to buy from.